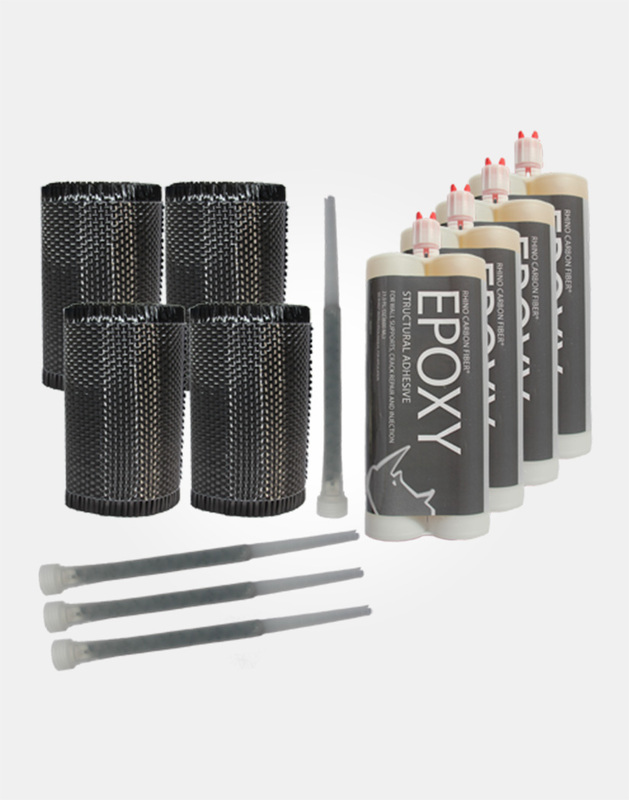 STRONGEST wall repair system available! 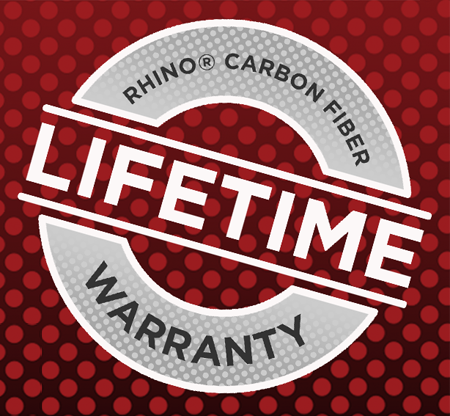 Rhino Carbon Fiber® also offers the most advanced corner repair solution available. 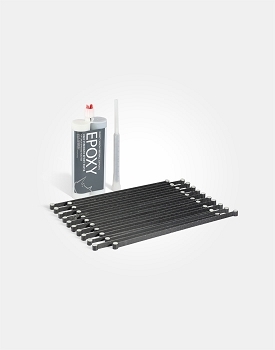 The corner repair kits are great to reinforce the corner of the structure. 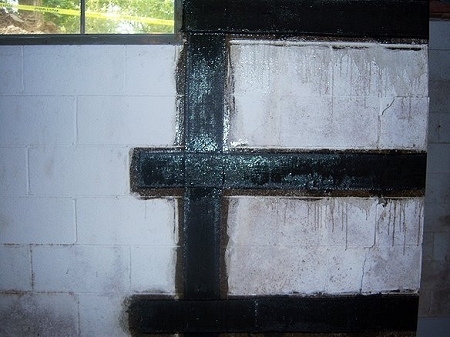 Many structures have a beam that pockets over the top of the corners of the foundation wall. These areas have a tendency to crack due to the pressure and weight of the beam. 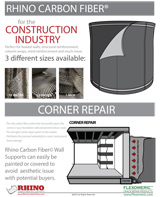 The Rhino Carbon Fiber® corner kits can repair a cracked corner or reinforce a wall to prepare for an addition. 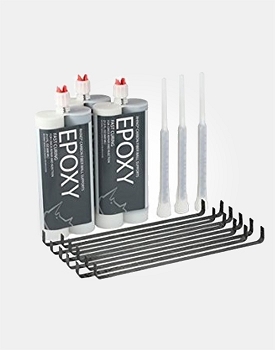 This complete kit is for both homeowners or contractors. 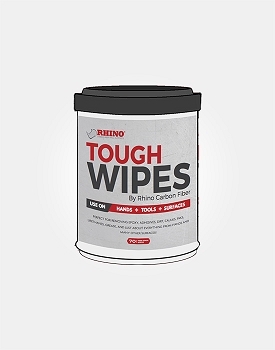 The Rhino Carbon Fiber Wall Support System can be used on cracked concrete or concrete block foundations. 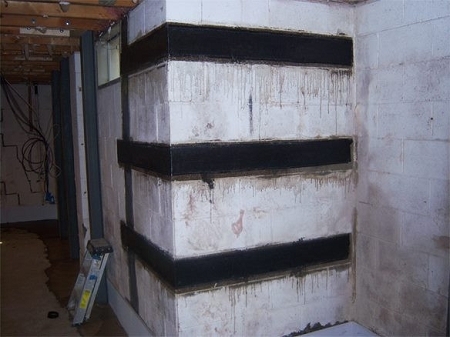 Advanced Basement Products warrants no further inward movement of the wall(s) where Rhino Carbon Fiber Strips were installed. In the event that there is inward movement of the wall(s), Advanced Basement Products agrees to service at no charge.